Preparations for a third Holden Colorado to join the ECB SuperUtes Series at next month’s Watpac Townsville 400 are in full swing. 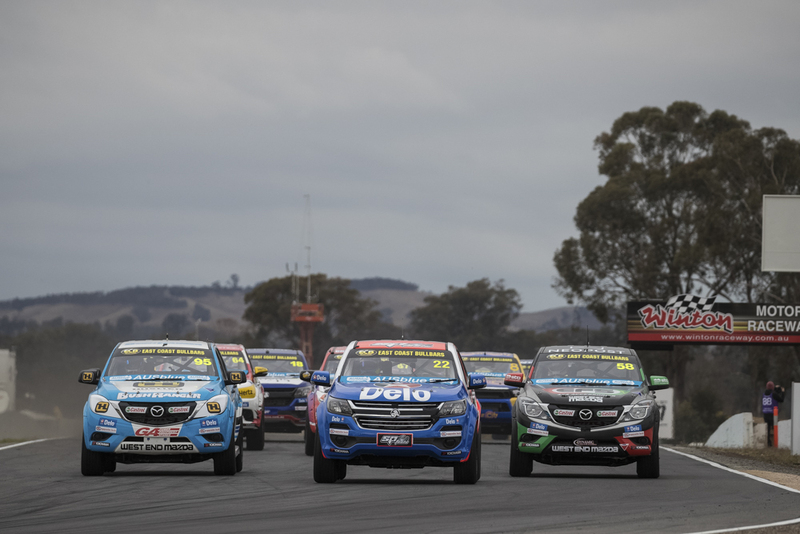 To be run by Stephen Southgate, the Colorado will be the 12th SuperUte on the grid and join Winton victor Tom Alexander and Thomas Gasperak in the Holden ranks. The painted chassis returned to Ross Stone Racing – which is completing the build – earlier this week and is expected to be ready for the July 6-8 event, Round 3 of the inaugural series. “It's pretty good for us, we're definitely hoping to make Townsville,” Southgate told Supercars.com. To sport the colours of his Global Road Maintenance Systems business, Southgate is confident of being on the pace from the outset. "We will be in the top three, there's no messing around, we'll be at the pointy end,” he said. "The boys have seen me drive, [Craig] Dontas and [Christopher] Formosa have seen me drive before, because I've driven the V8 Supercar, and they know I'm competitive. "They know that I'm a hard, clean racer, so I wont be mucking around, I'm not worried about panel damage like the other boys, so we'll be into it. “I can't wait to get back out on the track, it's been too long, so I'm happy to get out, get racing again and have some fun. A fourth Colorado for Cole Bradley is also in the pipeline to join the turbo-diesel, dual-cab series. Craig Woods is the series leader after two events, followed by Mazda’s Ryal Harris and Mitsubishi’s Toby Price.